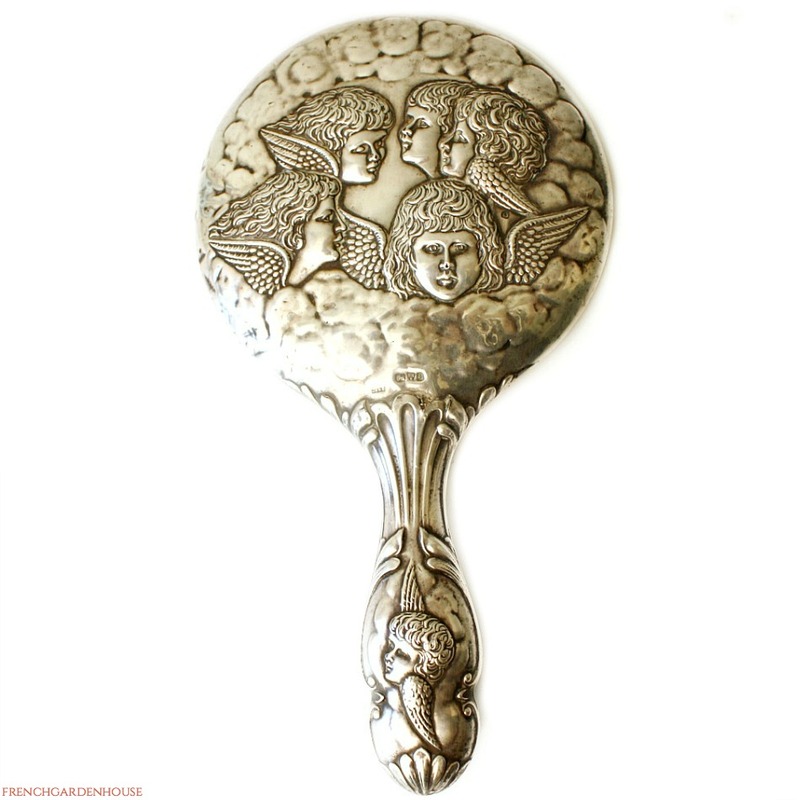 Antique Sterling Silver Hand Mirror, with gorgeous repousse angels on the back, and on both sides of the handle. Absolutely beautiful, the Angels are so detailed and hand crafted with great skill. This English mirror was made in Chester, England in the 1800's. 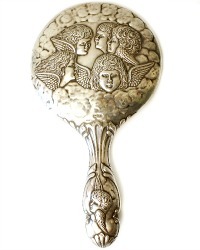 Decorative as well as usefull, to display with pride on your dressing room table, your vanity, or in your guest bathroom. 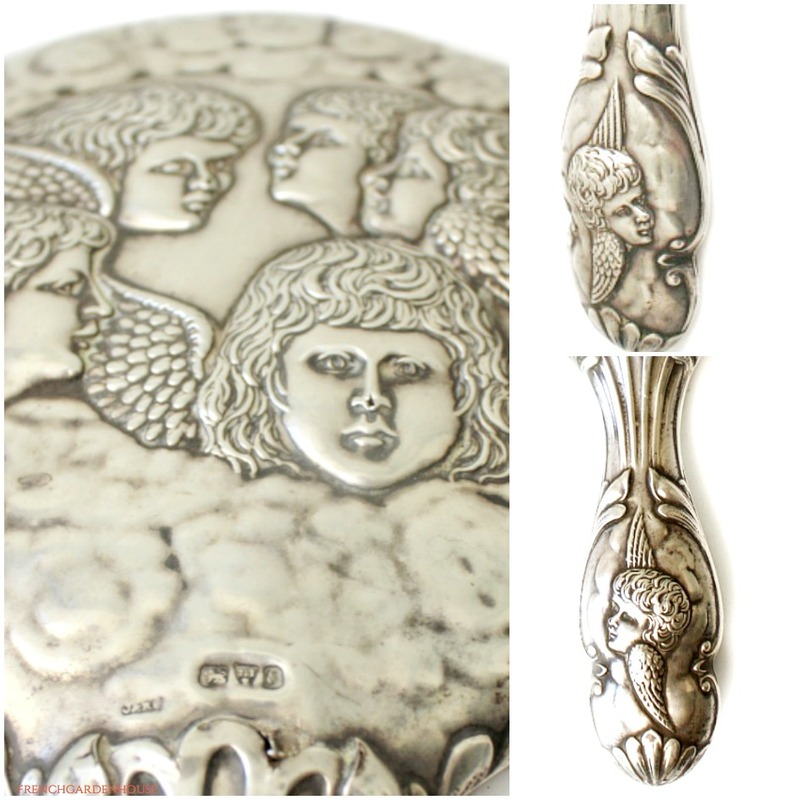 Fully halmarked, the winged angels on each side of the handle make this one special. 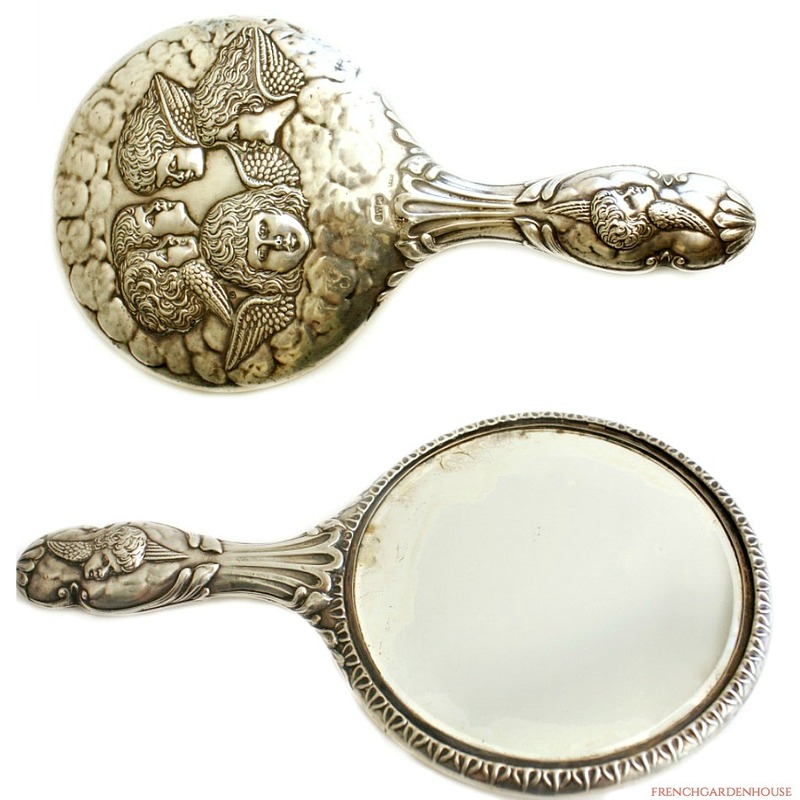 A wonderful addition to your collection of silver, in good antique condition as shown for an item over 100 years old, the original beveled mirror has some ghosting.